la ringraziamo per il giudizio che ha voluta riconoscerci e speriamo di averla di nuovo nostro ospite in futuro. We had a good dinner on a secluded terras in a small but beautiful resort. We liked both the food, the local wine and the olive oil. Very friendly service topped this. We had a wonderful evening. This was our visit to Poggio Piglia, although we visitid the area many times. Reception was very friendly and personal, service at the table was fantastic and the owner took the time to introduce us to the chef and verify if we like the food. We shared the antipasti and had great pasta dishes and beef. The atmosphere and interior of the palace is very nice. So definitely a place we will visit again! In the heart of senesi hills this amazing restaurant and boutique hotel, opens to his guests the opportunity to taste his homemade oil and wine. I swear I felt in love with that. The service is like a 5 stars hotel (maybe more than 5)!!!! 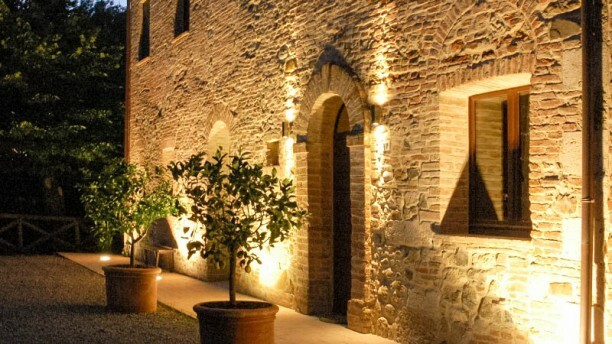 If you are in tuscany you can’t miss this experience that can engage all your senses!!!! We’ll back for sure !